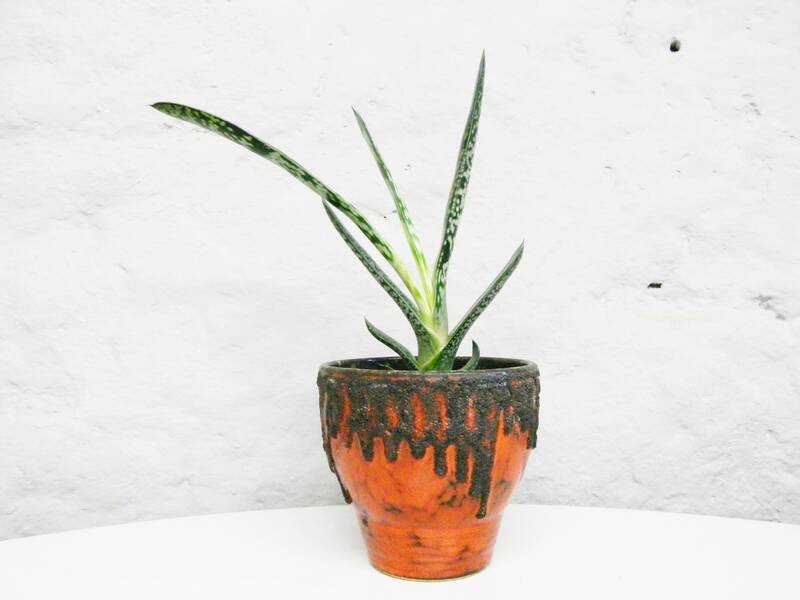 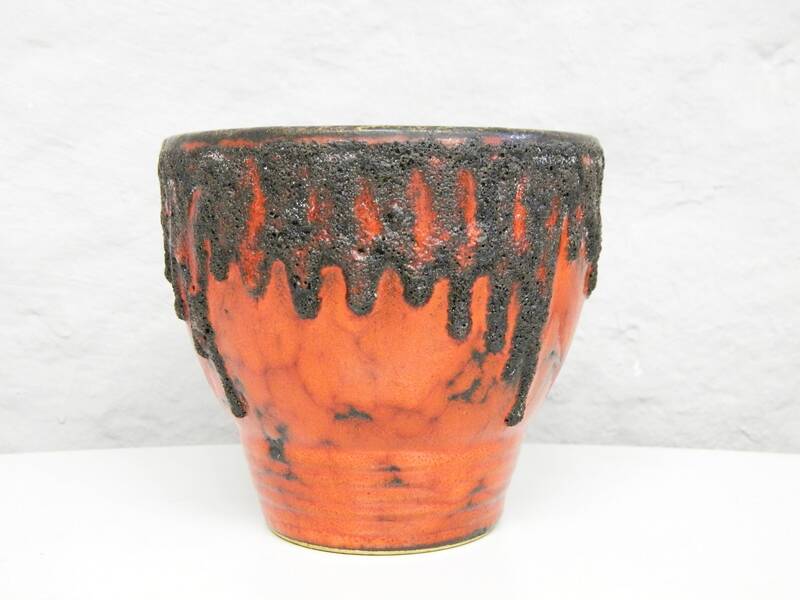 Great Plant pot in "Lava" design, black/red, Ceramic. 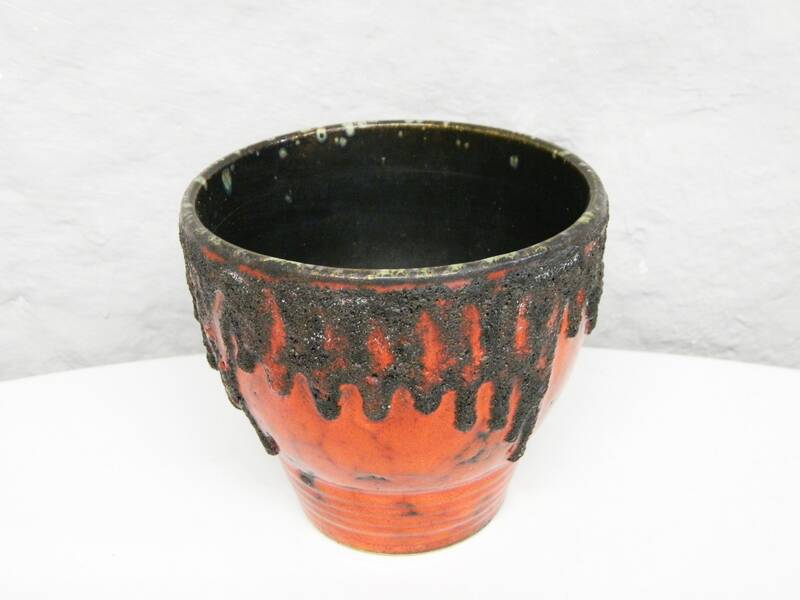 The Pot is in very good Vintage condition. 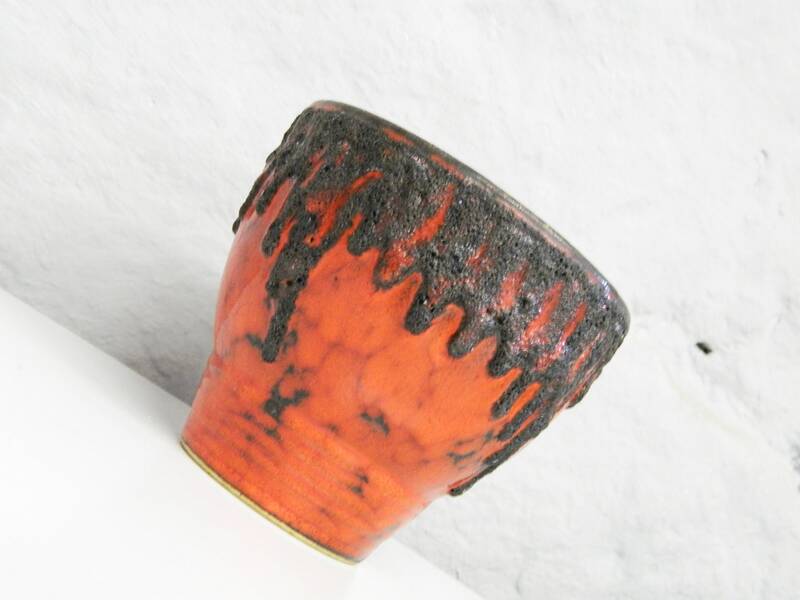 Height 12 cm, 4.7 "
Diameter 13 cm, 5.1 "